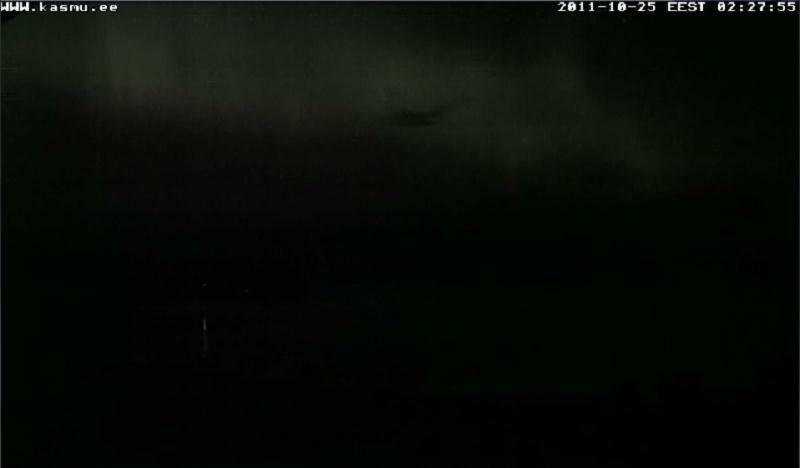 Looduskalender’s US forum member Kitty tonight watched the Northern Lights in the Käsmu webcam for half an hour. What will happen tonight ...? The beautiful show becomes visible on reaching the atmosphere of the earth, somewhere about 100-300 km from the ground. Particles from the sun moving towards the earth for various reasons collide with gas atoms or molecules, generating the show of lights visible to us. 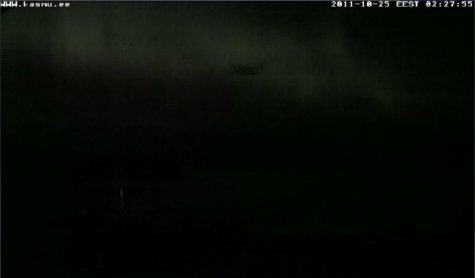 The colour spectrum of the Northern Lights is determined by the gases in the atmosphere – green colours from oxygen atoms, red ones from nitrogen atoms. It is all related to the position of the sun: the activity of the Northern Lights as well as their brightness.